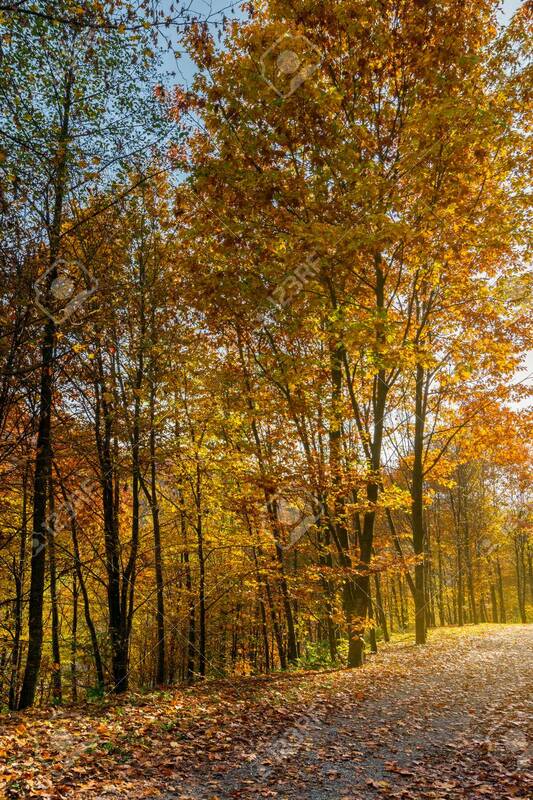 Road Through Forest In Fall Foliage. Beautiful Sunny Background... Stock Photo, Picture And Royalty Free Image. Image 107270590.